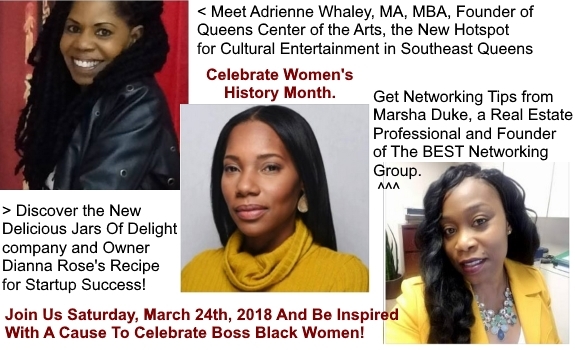 The Southeast Queens Scoop, the daily news-blog dedicated to the coverage of the cultural arts, positive and informative news, business development, and economic empowerment of Southeast Queens presents "A Cause To Celebrate - Our Boss Black Women." 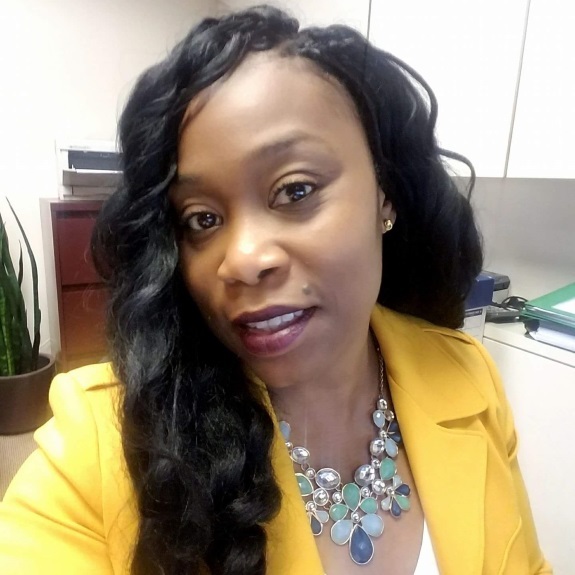 This business insight and networking meeting celebrating Women's History Month looks to inspire and empower women entrepreneurs in the area. Discover what drives some of the women running innovative startups in our area. Learn the secrets to their success. 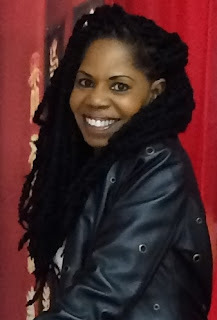 ~ Adrienne Whaley, MBA, MA and Founder of the creative hotspot: Queens Center Of The Arts. Adrienne has been able to start a creative cultural epicenter in the area which trains and entertains people in our community in the arts. Sis. Whaley, will be speaking on running the business of the arts. She will speak on the importance of the arts in the community and strategies to promote successful art businesses. ~ Marsha Duke, Real Estate professional and Founder of the business empowering B.E.S.T. Networking Group. 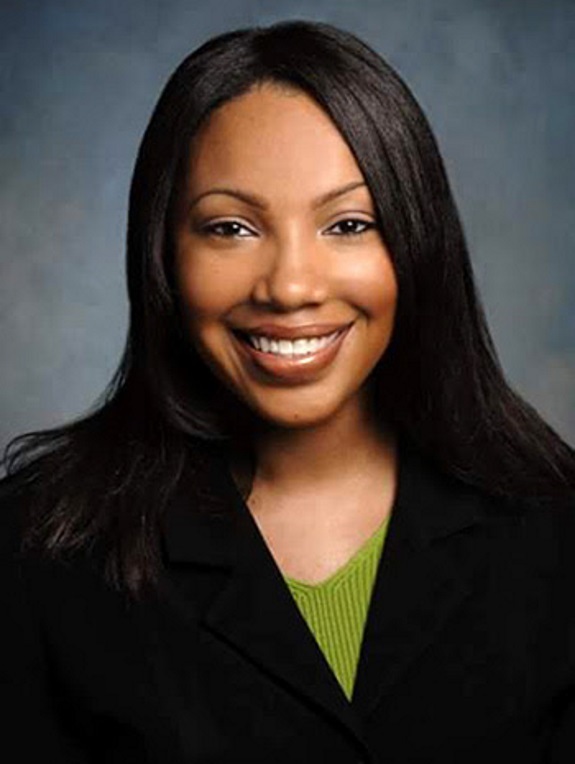 Marsha focuses on one of the foundational pillars of building wealth - home ownership in her real estate profession. She is also the force behind the Southeast Queens based networking group B.E.S.T. Networking Group which is rapidly expanding. Sis. Marsha will be delving into the importance of networking to build your business. She will also be sharing her best networking tips. Come on out and learn how to network to grow your business and of course network with other business people in your community. RSVP now and let the networking begin. ~ Dianna Rose, Owner of Jars Of Delight, the organic foods mail order sensation taking Southeast Queens by storm! Dianna Rose started an organic food mail order business less than a year ago and has been able to leave her full time job. Mailing food has become a new way to eat and thrive. It is a multibillion dollar industry and Dianna has captured a bit of it locally. She offers delicious and healthy foods in vacuum packed 32 ounce jars of tasty delightful marinated poultry and fresh vegetables. Enjoying organic foods from Jars of Delight is the future of the food service industry. 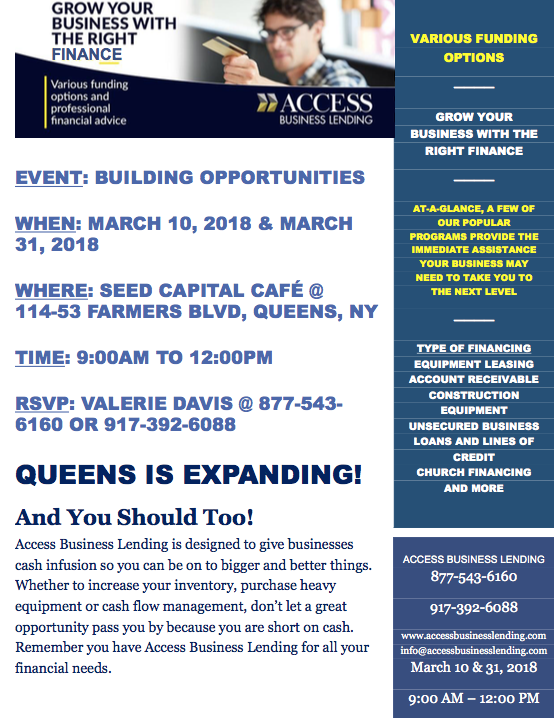 Don't miss this opportunity to hear the insights and network with of some dynamic Southeast Queens' leading lady entrepreneurs. This event is free but bring your appetite for success and good refreshments. Saturday, March 24th, 2018, At the African Center Of Community Empowerment, 111-20 Farmers Blvd, Building A, St. Albans, New York, 11412. From 5:30 pm to 8:30 pm. 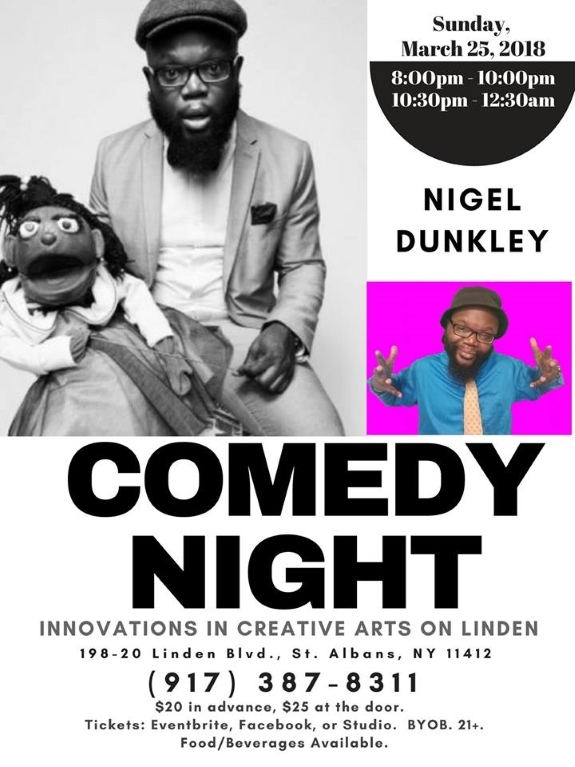 Time to get your laugh going with Nigel Dunkley on March 25th. Purchase tickets on Eventbrite or in the Studio. $20 in advance. Food & Beverages will be available. Interested in growing your business? Do you need financing to do so? Then you should attend this session presented by Access Business Lending. Access Business Lending is designed to give businesses a cash infusion to accomplish a number of goals. Labels: Do you need financing to do so? Labels: A young Indian clerk named Abdul Karim. “Creative Conversations” is a monthly dinner meeting where you will have the opportunity to network, organize, meet community stakeholders, develop strategies for community advocacy and learn about other QCA opportunities. This is open to the general public and all artists. Labels: This is open to the general public and all artists. 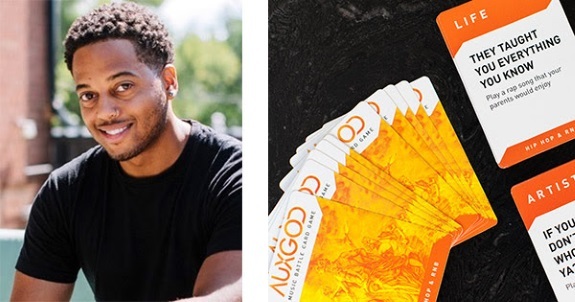 Austin, TX -- WNBA star, poet, writer and mental health advocate, Imani McGee-Stafford, adds published author to her burgeoning brand. 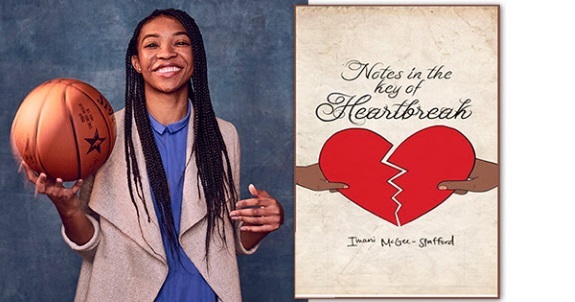 Notes in The Key of Heartbreak, a book of poems by the WNBA's Atlanta Dream center standout, is the next chapter in McGee-Stafford's remarkable journey towards becoming a true renaissance woman. "We are taught to search for love outside ourselves from a young age. We watch fairytales and romanticize relationships in search of the elusive 'happily ever after'," McGee-Stafford writes. "However, growing up, many of us don’t experience healthy, loving relationships so, we are sent into the world stumbling through heartbreaks, simply trying to do our best." As a child, McGee-Stafford was molested by a family member and raised in an abusive and negligent environment, spending many of her teen years depressed and suicidal. In 2012, she earned a full scholarship to the University of Texas at Austin, where she eventually received the support and mental health services she long needed - support that also ultimately equipped her with enough courage to share her story. 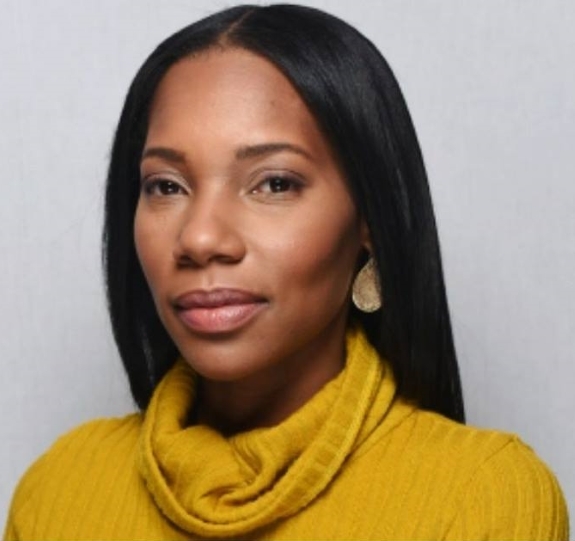 "Some of us never do the work to make ourselves whole even though we all know that none of us can give what we don't have," said McGee-Stafford, who champions mental health through her speeches in corporations, organizations, and schools around the country. Atlanta, GA -- An Atlanta businessman is offering customers a one-stop online store to purchase top-named antivirus software to protect your home or business computers. 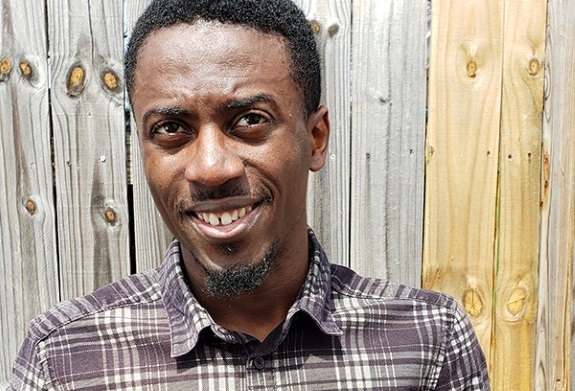 Joel Udotong, founder of the 3-year old Blue Jade Services, says customers can purchase a variety of cloud security solutions, such as Symantec, Avast, AVG, Boost, ESET, and Trend Micro. The company sends you the product key along with download instructions, and also offers free remote installation. "This saves people time, gas and money," said Udotong, 24, born in Akwa Ibom State in Nigeria and who is currently studying computer science at Chattahoochee College. "They don't have to go to the stores just for antivirus software. They can just order from our website and the item is delivered in less than 30 minutes." Brooklyn, NY -- 651 ARTS and MoCADA (the Museum of Contemporary African Diasporan Arts) today announce that the two organizations are joining forces to create a new contemporary arts institution. As part of the evolving Brooklyn cultural district, this arts institution is committed to bringing first voice perspectives to the curation, support, presentation, production and resourcing of contemporary African Diasporan art, cultural expression, and social impact themes and will occupy 20,000 square feet at 300 Ashland Place. "'If you want to go fast, go alone. If you want to go far, go together.' This African proverb captures the spirit of this alliance," stated Kevin Johnson, current Board Member and former Board Chair (2007-2016) of MoCADA. "We are excited about the collective impact the joined organizations will bring to the local community and the world at large," continued Andrea E. Smith, Board Chair of 651 ARTS. "By coming together, we will continue the legacy and draw upon the strength of these two landmark Brooklyn institutions while also embodying future, forward possibilities with new and shared resources." Labels: Today announce that the two organizations are joining forces to create a new contemporary arts institution. Don't miss this opportunity to hear the insights and network with of some dynamic Southeast Queens' leading lady entrepreneurs. This event is free but bring your appetite for success and good free refreshments that will be available. 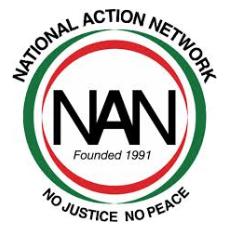 All are welcome to attend the next general meeting of the Queens Chapter of the National Action Network. Labels: The Queens Chapter of the National Action Network. 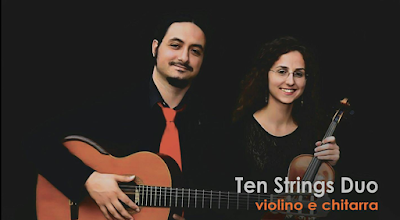 Violinist Marianatalia Ruscica and guitarist Davide Sciacca began their collaboration in 2012. Their intensive work together has led to an extended repertoire of classical works from the early 19th Century including Niccolò Paganini, Mauro Giuliani, Napoleon Coste, and Francesco Molino as well as more contemporary pieces by composers such as Astor Piazzolla, Maximo Diego Pujol, Celso Machado, and Andrea Schiavo. Michelle Yom will perform on flute as a guest artist. Labels: Michelle Yom will perform on flute as a guest artist. 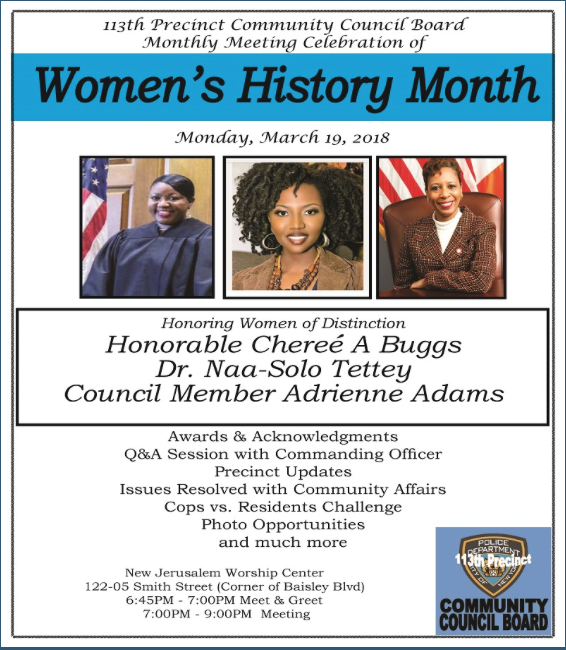 The 113th Precinct Community Council Board is pleased to present a women’s history month celebration. Labels: The Honorable Cheree Buggs; Dr. Naa-Solo Tettey; and New York City Council Member Adrienne Adams. Nationwide -- March is Women's History Month. While we celebrate the many successes women have achieved, the #MeToo movement sheds light on the fact that there is much work yet to do. Some people ask why women suffer in silence, and why, after accomplishing numerous firsts, do approximately 12 million women in the United States experience clinical depression, in some cases without knowing that they do? The #MeToo movement kicked off a firestorm and became the transformational calling card for women to take up their personal mantle and take responsibility to create greater happiness, get more love and generate more prosperity. Labels: Horizons Consulting Solutions, LLC. Dr. Buckingham is a highly acclaimed international clinical psychotherapist, relationship expert and corporate consultant. Kansas City, MO -- With the divide caused by years of inequity touching the colored communities in the American culture, many parents and educators are seeing a great disparage of brown main characters in children's picture books. 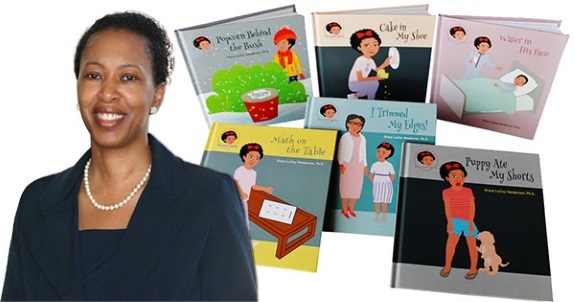 However, children’s author and illustrator Dr. Grace LaJoy Henderson is helping to change that with the release of her new children’s book series comprising of six books. Although the author initially created The Gracie Series for entertainment, the series is now playing a role in solving the need for culturally relevant books for diverse young readers everywhere. Labels: Henderson is helping to change that with the release of her new children’s book series comprising of six books. Atlanta, GA -- As one of the newest additions to the prestigious Phipps Plaza in Atlanta, GA, S&S Luxury brings new meaning to the words Home Décor. Touting a feeling like none other, S&S Luxury specializes in mink blankets and accessories for the most stylish homes. In only a few years owner and creator, Shivolli DaSilva, has transformed her personal passion into a profitable enterprise. Labels: Luxury specializes in mink blankets and accessories for the most stylish homes. 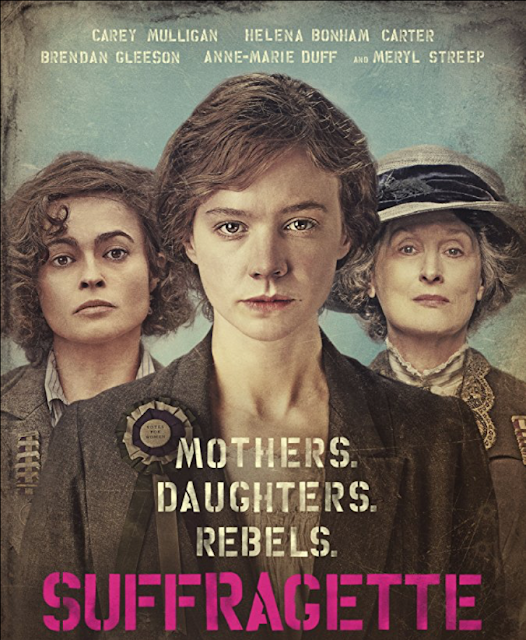 The foot soldiers of the early feminist movement, women who were forced underground to pursue a dangerous game of cat and mouse with an increasingly brutal State. Labels: Dangerous game of cat and mouse with an increasingly brutal State. ~ Daneya Hemans, Con-Ed Engineer. 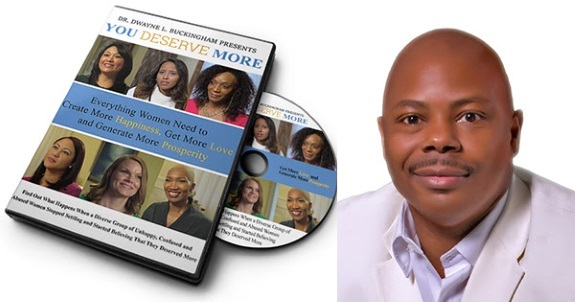 Join Clyde as he highlights women that are thriving in the age of technology. 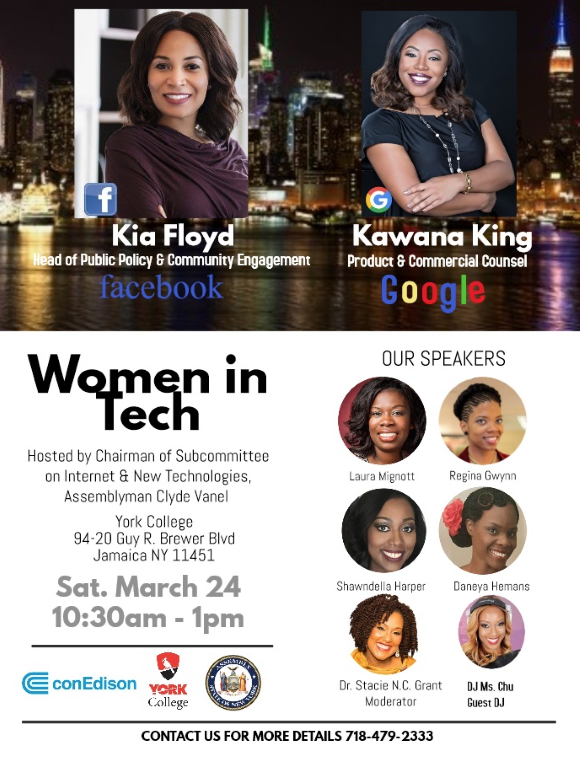 They’ll discuss how they navigate in tech and break barriers and share their insight on using technology and social media. For more information, call (718) 479-2333 or e-mail chistiek@nysassembly.gov. 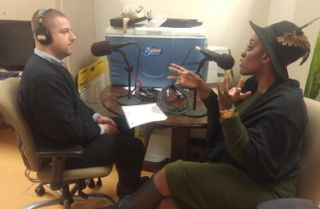 Labels: Join Clyde as he highlights women that are thriving in the age of technology. 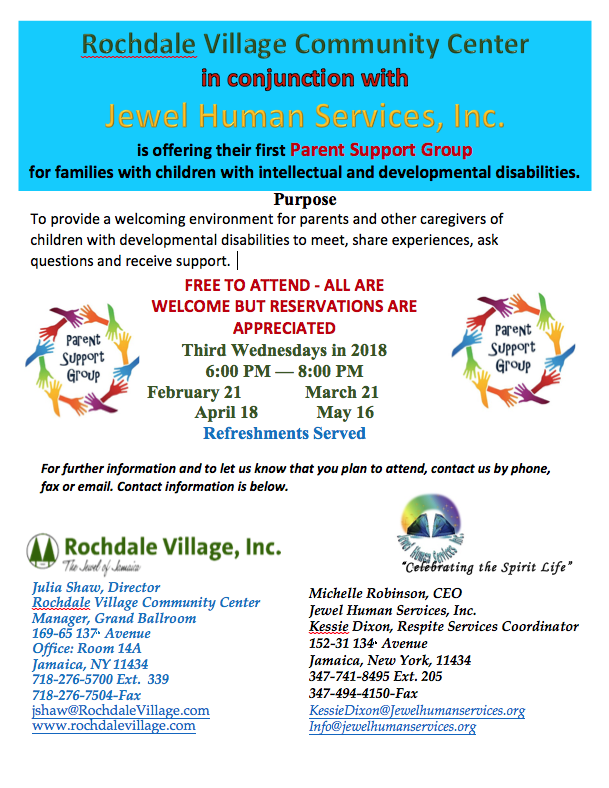 The Rochdale Village Community Center and Jewel Human Services are pleased to present their first Parent Support Group. Labels: The Rochdale Village Community Center and Jewel Human Services are pleased to present their first Parent Support Group. Toronto, ON If you were told to "Play A Song About Your Ex", you could definitely think of more than a few songs to play that relate to your life experience. Did songs start flowing through your head? If so, you’re ready for AUXGOD. Labels: Players a split into three teams. The judging team will draw a card and read it out loud. 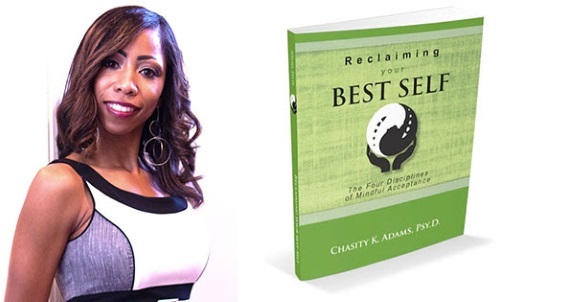 Charlotte, NC Dr. Chasity K. Adams, Licensed Psychologist, Speaker, and Author brilliantly writes about living free from guilt and remorse. 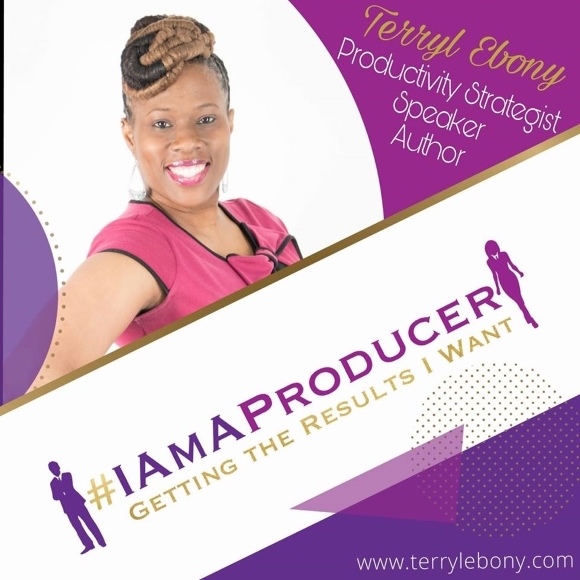 She describes practical skills, that are science-based, to help you live everyday as the Best version of yourself, with all of your imperfections, by prioritizing emotional self-care and practicing habits of happiness. Emotional self-care is presented in this book as a prerequisite for genuine love of others. 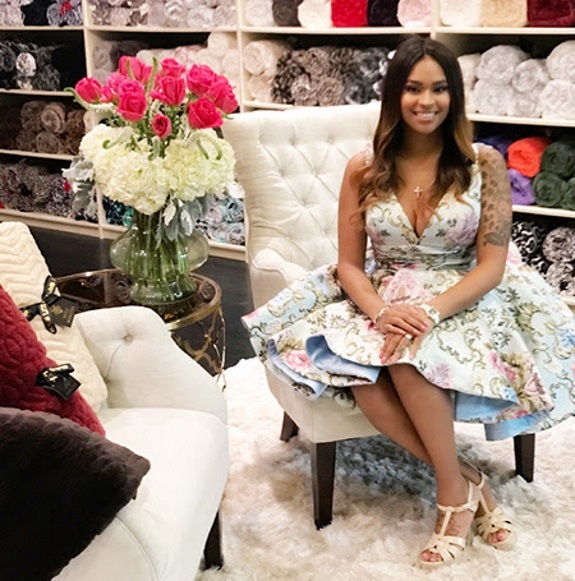 Philadelphia, PA -- In the past five years, Milano di Rouge has transformed from an online boutique to a fashion powerhouse worn by celebrities such as Cardi B, Rick Ross, Meek Mill, and Lala Anthony. Though some may not put the city of Philadelphia at the top of the list for iconic styles, Milano di Rouge has certainly changed the landscape. Created by one of the city's most recognizable and outspoken African American female entrepreneurs, Milan, the Milano di Rouge brand redefines urban fashion. From magazine features to being honored by Macy's as a Designer in Residence, Milan has built her brand up and expanded into new areas of focus. 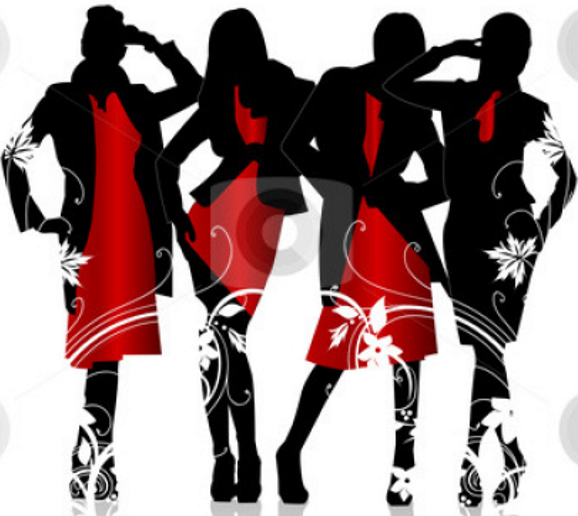 Labels: African American female entrepreneurs, Milan, the Milano di Rouge brand redefines urban fashion. Target To Hit Your Goals: Niching down your target audience will be scary because you feel like you are leaving money on the table, but I guarantee you're not. The more you try to market to everyone the more you are alienating yourself from your true market. Know Your Calling: Someone asked me recently why I haven't been the visionary behind an anthology. Simple answer: That's not my calling at this point in my life. They asked, how come I haven't hosted a big conference. Simple answer: That's not my calling at this point in my life. Just because everyone else is doing stuff, doesn't mean you should.